This is the LRP BEC Stabilizing Capacitor. LRP's BEC Stabilizing Capacitor prevents the voltage of your receiver from dropping under a correct working level. 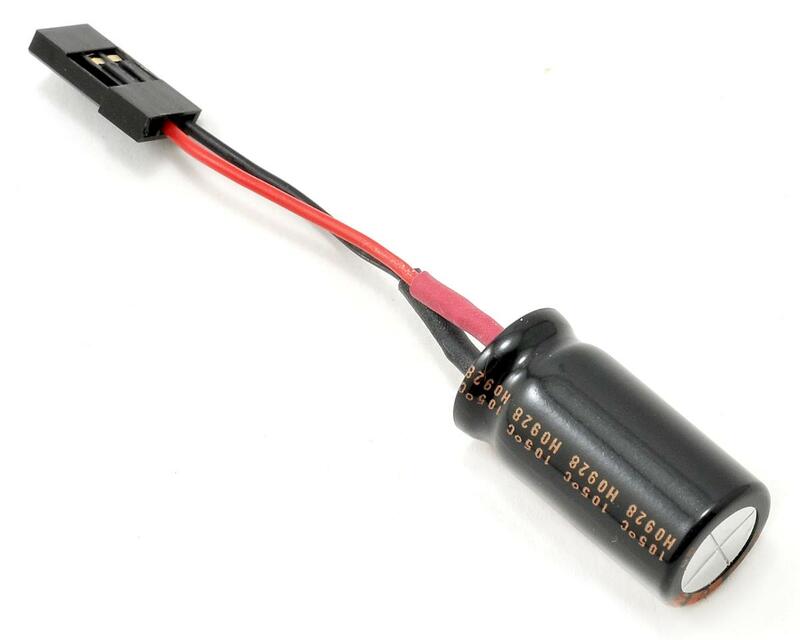 This smart BEC Stabilizing Capacitor stabilizes the voltage for your receiver and is especially important when running in racing classes that run on a low level of voltage input, such as 4-cell 1:12 class. 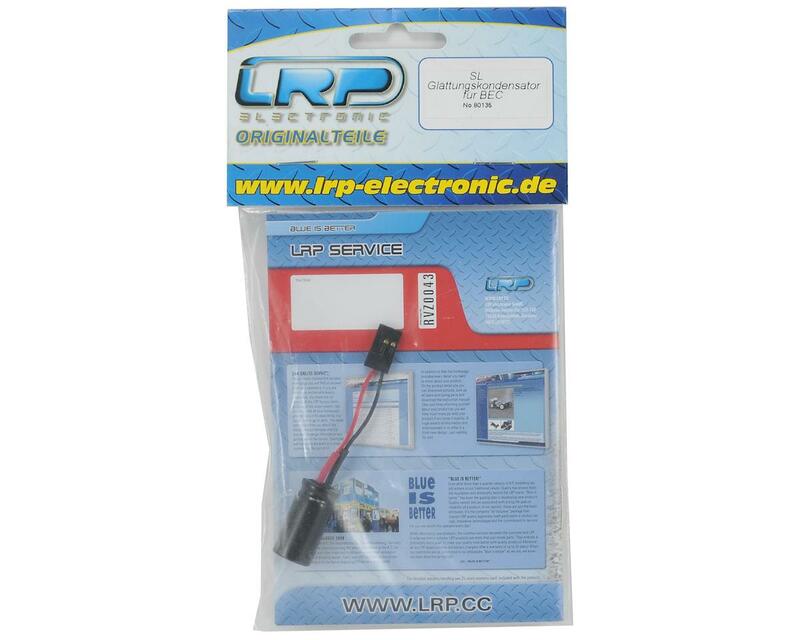 The LRP BEC Stabilizing Capacitor works for any receiver on the market, no matter if it’s FM or 2.4GHz, and can be used in either electric or nitro models. Just plug into any open slot on your receiver and you are ready to go! I was having glitching problems with my Savox 1258 and my Spectrum radio. I plugged this in to the receiver and I have had no problems since.